Best Thread Count for Sheets - A 1000 Thread Count Sheet? Thread count is one of the most important factors to consider when buying a bed sheet. That doesn’t mean it’s the only one. However, it still matters. I’ve already brought this subject up, but never in detail. So what is thread count? Essentially, it is the number of yarns you can find in one square inch of fabric. By that, I mean both the warp and weft yarns. That doesn’t mean a thread count can’t be odd, technically, but it usually isn’t, in fact, it is always a multiple of ten. The larger the thread count, the finer the fabric. 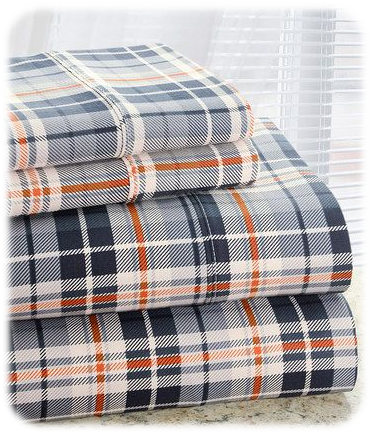 Fabric with a relatively high thread-count will be soft, very flexible and comfortable. This is not a mere observation. This is an explanation. The best luxury sheets often have a higher thread count, though other factors also come into play for them to qualify. But, generally, the higher the better. There is no definite cap. Practically, the best thread count depends on the type of fabric. Cotton has a lower thread cotton than silk. Microfiber often has a thread count of 1800, and that’s normal for this sort of fabric. If you think I’m going to talk about how unimportant it is, you’re mistaken. It is rather important; there’s no denying that. What do you think a good thread count is? Eighteen hundred? Fifteen hundred? Maybe, nine hundred? No. A good sheet has a thread count of 180. That’s it. You will find that many of the sheets I recommend have a much higher thread count than a basic cotton good-quality sheet. That is why the thread count is not vital, it is outweighed by other factors, as a rule. Sometimes, however, it is what matters most, especially when it comes to premium bedclothes, such as silk sheets. 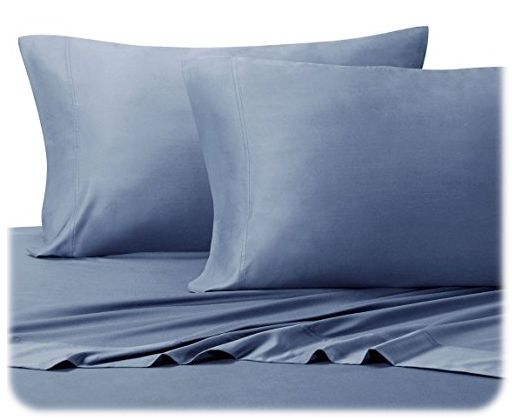 Although thread count does not define either percale or sateen, it’s closely linked with both. 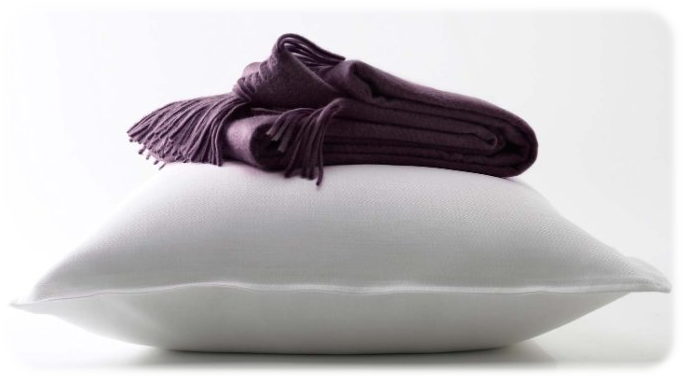 Due to how percale is made, it generally consists of very fine yarn and has a high thread count. Sateen is has a different structure entirely, but it does not affect its structure. It looks and feels similarly to satin. By the way, do not confuse these two types of fabrics. 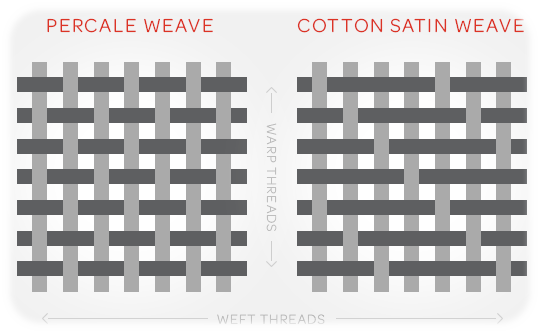 Sateen is a type of weave. Satin is a fabric in its own right. While thread count is only a number, that number can be very useful to find what you need, though it’s mostly useful when choosing cotton sheets. Generally, a good sheet has a thread count between two and eight hundred. Such a thread count is typical for durable sheets. A 200 TС cotton bed sheet feels like cotton clothes. The higher the thread count, the softer and silkier the sheet feels. At four hundred, sheets are rather lightweight. At eight hundred, they are still soft and somewhat silky, but they also are dense and heavy. At six hundred, sheets are not very dense but, on the other hand, very silky. Do consider the material of the sheet. A microfiber sheet, for instance, must have a thread count of at least 1500. Anything less, and it’ll take it a lot to make up for that. Why? Because microfiber is a very fine material, finer than silk in fact. A microfiber sheet with a low thread count is not something you want to get for yourself, believe me. As I’ve said above, a low thread count by itself is not necessarily a bad thing. So, what can this particular 220 TC sheet offer? First of all, this is a pocket sheet that can fit a 15” mattress. Perhaps that’s not too much, however, not many mattresses are that tall to begin with. Even then, the sheet can still fit a bigger mattress, though I would advise against it. If you have a very thick mattress, it’s better to get a sheet that can fit it by design, unlike this one. The sheet has elastic on all sides for a better grip. Though it is made from cotton, it is also preshrunk, which means that shrinkage is no longer a problem for you if you do purchase this sheet. 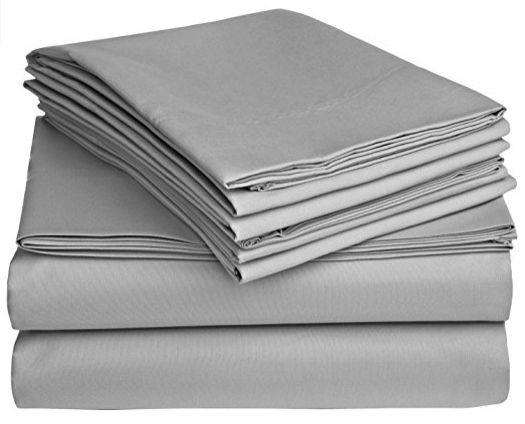 Despite a relatively low thread count, the sheet is very durable and hard to tear. A sheet perfect for any temperature. Whether it is cold or warm, you will feel comfortable at night. An excellent budget option. Save money and get this organic sheet. What can be so special about yet another 220 TC flat sheet? Probably not too much, however, that is not the case here. While the sheet is flat, it has a 2-inch hem, which makes it more suitable for oversized beds. The hem is double stitched. Since this is a one hundred percent natural cotton sheets, it is an excellent match for people who tend to suffer from either heat or cold at night. While not quite as suitable for thermoregulation as some other fabrics, it is far from useless at the same time. Lustrous, warm, soft, breathable, what’s not to want? Add to that that the sheet is wrinkle-resistant, even though it’s made from pure cotton, and it becomes clear as glass that it might make a perfect purchase. I would say they can be considered luxury sheet, and they could be. Unfortunately for them, some budget sheets have an even more luxurious feel, but they have a higher thread count and are made from synthetics. The sheets are easy to take care of. After all, they are made from regular cotton, which means any washing machine has a mode to wash them. Relatively low thread count is not unique to cotton sheets. These 300 TC rayon bamboo sheets are a real proof of that. 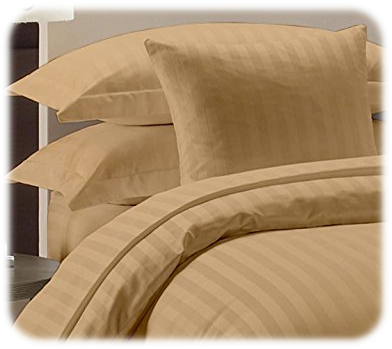 But, even though they have a low thread count, it doesn’t mean they cannot be considered a luxury set. Mostly, thanks to their material. 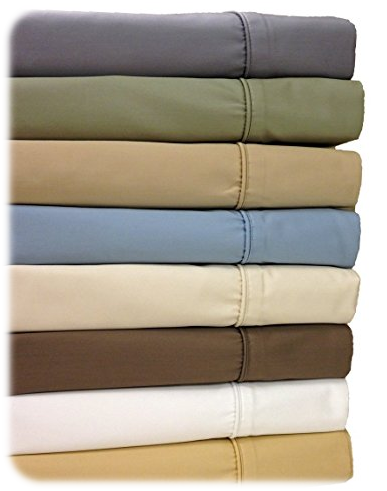 While they are only slightly denser than a 200 TC cotton sheet, each sheet feels much softer and silkier. And that’s what makes them simply perfect even for the pickiest customers. These bamboo sheets are even more comfortable when it comes to hot or cold sleeping. Bamboo fibers are much better at thermoregulation than cotton fibers. With this set, you can forget about allergies and skin irritation. Even if you’re sensitive to chemicals, you just will not find them here. Sweat a lot? Not a problem! Bamboo is also more absorbent than cotton and is capable of soaking water very fast. Which is one of the reasons why there are so many bamboo towels. These sheets will also make a lovely gift. The best way to show that you care about a person is to give them something they could use everyday. Something high-quality. And that’s what this sheet set is. A medium thread count sheet may, in fact, be a premium sheet. This set is a perfect example of that. Can a cotton sheet be compared to silk? Well, these sheets certainly can. Of course, they cost accordingly as well. Not that they are more expensive than a set of silk sheets, which only makes them more attractive. This is a 4-piece set. Meaning, you get a couple of pillowcases, a flat sheet and a fitted sheet. 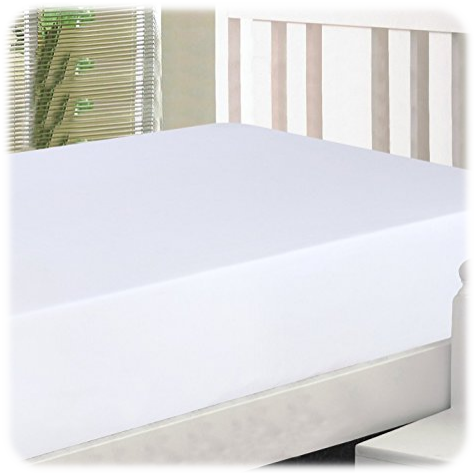 The latter has elastic on all sides and is suitable for mattresses between fourteen and eighteen inches. Do keep that in if you’re thinking of purchasing this set for your own mattress. Is you mattress thick enough? If it doesn’t, it’s better to get another set or a flat sheet. Alternatively, you can get yourself a mattress topper to make your bed taller. It is made from pure cotton but, despite the fact cotton tends to pill, this set does not accumulate lint at the same rate. How to make a high thread count sheet set relatively cheap and wrinkle-free? The answer is simple: just add some polyester. Yes, you’ve got it right, this set indeed is sewn from a blend of cotton and polyester. Don’t worry though, as the percentage of cotton is much higher and constitutes 70%. So, the sheets are still mostly cotton. 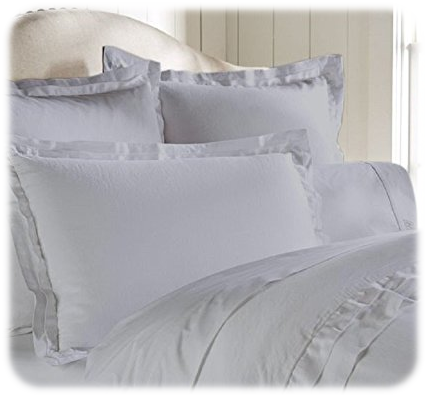 Polyester simply makes them somewhat cheaper, finer and more wrinkle-resistant compared to an average cotton sheet. The thread count is six hundreds and fifty, which is quite a respectable number when it comes to TC. The composition of the set is standard for a 4-piece set. It includes a couple of pillowcases, one flat sheet and a deep pocket sheet, which fits mattresses between fifteen and eighteen inches. It has elastic on all sides for a sure grip. Despite a high TC, the sheets have a sateen weave. That combines the advantages of a dense fabric, and the cotton clothes feel of a sateen weave. It also feels somewhat silky at the same time. Perhaps, you’re one of those people whose mattress and topper combined have more than 19” in height. And that’s considering the fact that most fitted sheets can only fit a mattress up to 16 inches. What to do? The answer is simple. Get this set, and your problem is solved. 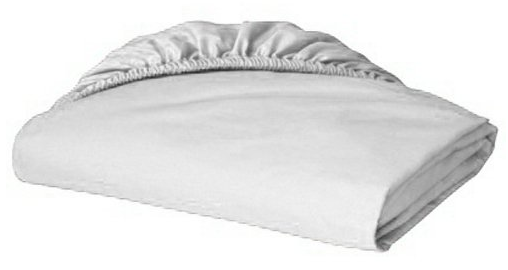 Its deep pocket sheet is suitable for a mattress up to 22 inches in height. As you probably understand, not many sheet sets can offer the same thing. The flat sheet is not so simple either. It has a four-inch hem. Nothing special compared to the fitted sheet but still a nice addition. The pillowcases are standard, nothing to add. Low price does not mean a sheet contains polyester. These sheets do not, although they are slightly more pricey than standard cotton sheet. But only marginally. Considered they have a thread count of six hundred and can fit very thick mattresses, that’s actually to be expected. Pure cotton means 100% breathability, and the thread count is a sign of extra durability. These sheets will not fall apart at the slightest tug; that’s for sure. A perfect example of a 800 TC Egyptian deep pocket sheet. As a matter of fact, such sheets are not really popular. Well, too bad. This sheet clearly shows why they should be. Pure Egyptian cotton? Check. Fits mattresses up to 18 inches? Check. Elastic for a perfect fit? Check. This really is one of the best sheets I can think of. As to how it feels… It is silky and warm. But it definitely heavy. Perhaps, that is one of the reasons people do not appreciate such sheets. 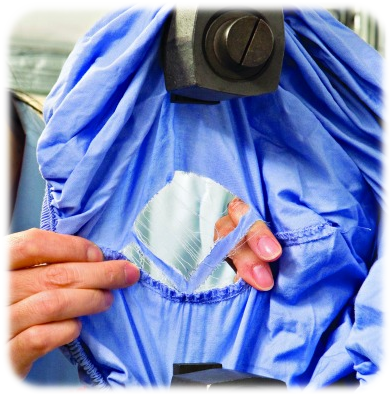 However, thanks to its density, the sheet is extremely durable. It’s hard to tear it even if you actually try. Don’t, though. While I doubt you’d succeed, it’s not possible to know what a dedicated person can achieve. Even though it’s made from pure cotton, it is wrinkle resistant and does not fade. The high thread count eliminates the possibility of pilling almost entirely. This sheet is perfect for home use, but it can also be used with any bed, not just your main one. Not all high thread-count cotton sheets are cheap. This one is not. However, neither is it overly expensive. And it’s definitely cheaper than a silk or bamboo sheet of similar quality. What’s even better, it can fit a mattress up to 22 inches. 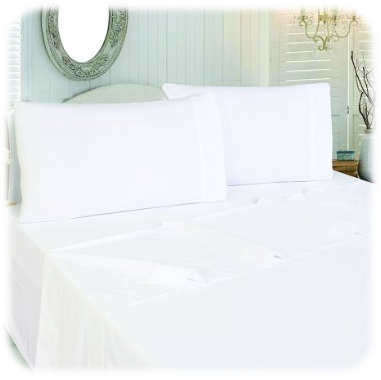 And unlike sheets with even a tiny percentage of polyester, it is recyclable and eco-friendly. A perfect choice if you prefer to live green. Do note that it comprises of 100% Egyptian cotton. It is one of the reasons it has such a high thread count. After all, fibers of this sort of cotton are twice as long, which makes possible making a very delicate fabric from them. The sheet has elastic on all the sides. It doesn’t slip thanks to that, and it’s very easy to put it on the mattress. Perhaps, it is not a silk sheet, but it’s a premium sheet, at least, quality-wise. It doesn’t wear, pill, or tear easily. Lying on it is a pleasure in its own right. What’s better than is single fitted sheet? Why, a set that includes one, of course, such as this Hotel Collection. A standard 4-piece set, but it has an interesting peculiarity. The deep pocket sheet is super deep pocket. And it can fit a mattress up to 21 inch in height. But that’s only the tip of the iceberg. What is that you expect from a sheet? Durability? Comfort? Softness? Luxury? This set can offer you all that. And not just that. A thread count of eight hundred means a lot when it comes to cotton sheets. The top sheet almost feels like silk and flannel at the same time. The best way to describe it is to say that it caresses the body, but even that won’t do it justice. It’s a perfect Egyptian cotton sheet set. Too bad not many people can appreciate it. If you want to get a luxury set for a budget price, and want it to be eco-friendly as well, then look no further. This is a perfect choice, especially for those with thick mattresses. Thread count is definitely important for those who are looking for a bed sheet. 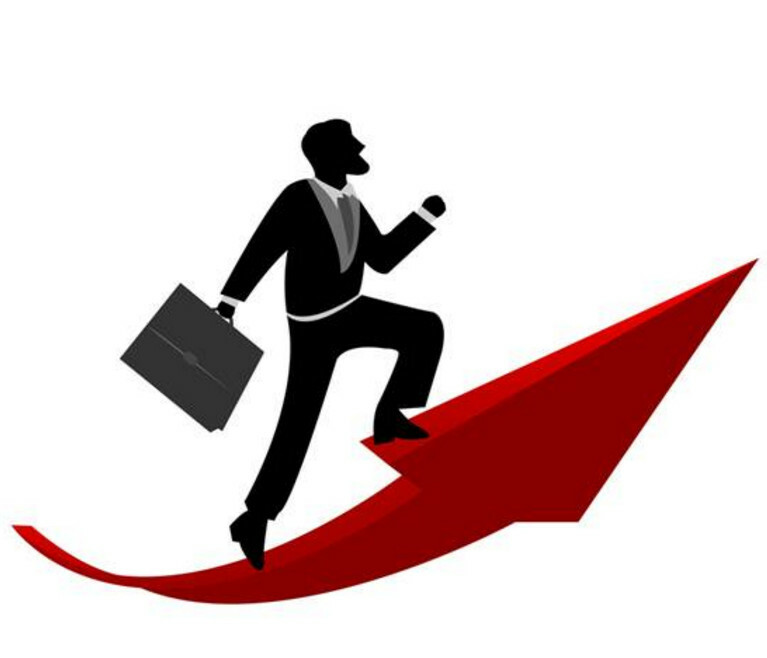 Nevertheless, it is not the most important factor, far from it. But you still should take it into account. As a rule, low thread count sheets are not exactly low thread count. They have a TC of 200, which is a good number for an average cotton sheet. The higher the thread count, the silkier and heavier the fabric is. At 800, you will find the best of Egyptian sheets. However, at doesn’t mean there aren’t sheet with an even higher thread count. Typically, they are made from silk or microfiber. With that in mind, you will definitely find what you need.